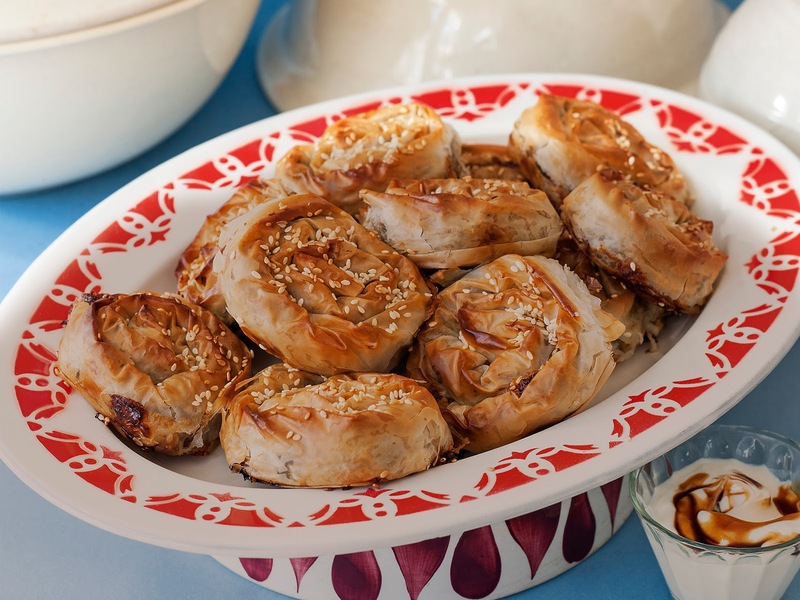 A traditional Turkish pastry dish, these gorgeous scrolls are served stuffed with tender lamb, juicy sultanas and creamy goat’s cheese to create a delicious starter, finger food or lunch. Put onion, garlic and olive oil in a medium saucepan and set over a low heat. Cook for 5 minutes, until tender. Add pine nuts, allspice and sultanas and fry gently for 2-3 minutes. Add lamb and break apart with a large fork. Cook gently, turning lamb over, until it loses its raw look. Season with salt and cool. Add dill and egg to lamb. Add goat’s cheese and stir gently. Preheat panggangan to 190°C fan-forced. Lightly brush the top of a sheet of filo with olive oil. Fold in half widthways. Spread a trail of lamb along one long edge, using 2 level tablespoons of mixture, then, starting at that edge, roll filo into a slim sausage. Curl pastry into a spiral. Transfer to a shallow baking dish lined with baking paper (ends tucked in). Repeat with remaining ingredients, packing parcels in tightly to stop them unfurling. 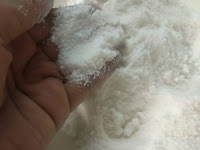 When all are done, brush with olive oil and dust with sesame seeds. Bake for about 30 minutes, until a rich golden-brown (pale filo will quickly turn soggy). Serve with a bowl of yoghurt with a good drizzle of pomegranate molasses swirled through.